The region offers a total of 135 holes of golf, spread over 7 courses with 18 holes and one 9-hole course. This gives the visiting golfer plenty of options when setting up a golfing itinerary. Some of the courses are true championship layouts while others are less challenging. Some are set in the rural countryside, while others enjoy spectacular views over the Mediterranean. 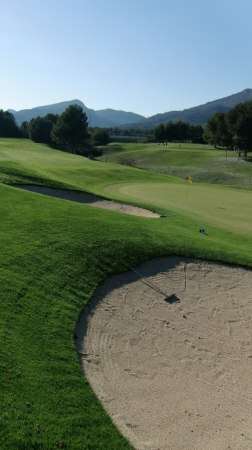 All in all, the combination of these different courses is what makes Costa Daurada such an interesting golf destination. In Costa Daurada there is a golf course for every taste and hcp! Daily greenfee - play as much as you want! In Costa Daurada your greenfee is "daily" which means you can play more than 18 holes if you wish. Just talk to golf reception after your first round and ask for a second tee-time. With every hotel presented on this website you will have the chance to create your own Greenfee Package including the golf courses of your choice. And you can choose as many as you want! If you prefer, we can do this selection for you based on your input and our knowledge of the courses.